Probe’s Redeeming the Culture DVD study series helps people like you enter into the mission of equipping others. Each topical study addresses the critical cultural topics that create confusion in the minds of believers and unbelievers alike. By educating Christians on these topics, we partner to help them stand firm in their faith. We also equip them to use these topics to engage others with a reasoned defense of their faith. giving each student their own handy resource for further study and for sharing with others. • Redeeming the Da Vinci Code: Is the Jesus of the gospels the real Jesus? • Redeeming Darwin: Does scientific evidence point toward naturalism or a supreme, intelligent designer? • Are the four gospels reliable accounts of the life and ministry of Jesus? • Do the so-called Gnostic Gospels provide better, accurate information about Jesus? • Did Jesus and the early church believe that Jesus is God? • Was the role of women unfairly suppressed by the New Testament teaching? We believe that our efforts played a real role in equipping the church to address the cultural phenomenon of The Da Vinci Code. Hundreds of churches and individuals used the material to equip their small groups. Working together with Josh McDowell’s ministry Beyond Belief, we distributed over 300,000 copies of our companion pamphlet, A Pocket Guide to Redeeming The Da Vinci Code. The Pocket Guide succinctly addresses the differences between the actual historical record and the fictional “facts” presented in the book and movie. Redeeming Darwin featured an impressive panel of experts: Kerby Anderson and Dr. Ray Bohlin of Probe, Dr. John Morris of the Institute for Creation Research, Dr. Fazale Rana of Reasons to Believe along with Larry Moyer and Mark Rae of EvanTell. This study explores the controversy between naturalistic Darwinism and the scientific movement, Intelligent Design. Students are exposed to the issues modern evidence creates for Darwinism and the growing evidence pointing to a transcendent, intelligent creator. 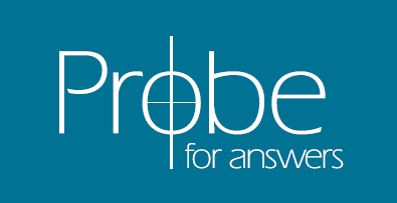 Using our 35 years of experience, Probe’s experts and associates took a very complex, technical topic and made it understandable to the average person without compromising the integrity of the information. Redeeming Darwin not only provides invaluable information from a biblical and scientifically informed worldview, but also equips and models the use of this knowledge for effective evangelism. The Redeeming Darwin study continues to be very relevant in shedding light on the misinformation and illogical arguments of those who want to ban the consideration of God from our study of His universe. In addition to the many churches and individuals who used this material, we distributed our Discovering the Designer DVD and Reference Guide to over 9,000 youth workers in conjunction with the release of the movie, Expelled: No Intelligence Allowed. Working in partnership with Student Venture (Campus Crusade for Christ’s high school outreach), we also distributed over 6,000 copies to high school students across the United States. Our third and latest topic in this series has been combined into our new vision for this decade: Freeing the minds of 50 million culturally captive Christians and building them into confident ambassadors for Christ by the year 2020. Similar to our two Redeeming titles, we are developing course material entitled Now I’m Bound. Unlike our two earlier courses, the Now I’m Bound material will include a 7 part sermon series, a 6 part small group series, a published book and a CD of 12 original songs. With this material, we are trying to intersect the lives of all believers with this message highlighting the importance of their eternal calling in Christ and how we have traded in this most valuable truth for the lies of conforming to the culture. Since our calling is to equip as many Christians as possible, we want to make the Now I’m Bound material affordable to all individuals, small groups and churches. To do this, we try to underwrite the significant product development costs through donations to our ministry. This allows us to make the direct cost of reproducing the materials the primary component of our pricing. Your support of Probe means that we can equip more people to be effective in their stand for Christ in today’s culture. If you are interested in helping fund the development of this important tool and similar projects, select the Donate button below. Those who can help fund this important project will receive a copy of our Decoding the Truth DVD from our Redeeming the Da Vinci Code material. This DVD addresses timeless issues on the reliability of the gospels, the deity of Christ and the biblical view of women. The companion student guide will be available as a PDF download.